König von Preussen (1840-1861). Friedrich Wilhelm IV. (1795-1861). Exceptional collection of 56 ALSs in German from King Frederick William IV to General Jean Chretien Auguste de Wagner in Paris, totaling 245 pages, dated between 1836 and 1854. A fine grouping of correspondence offering insight into the international poli 8vo. 245 pp. 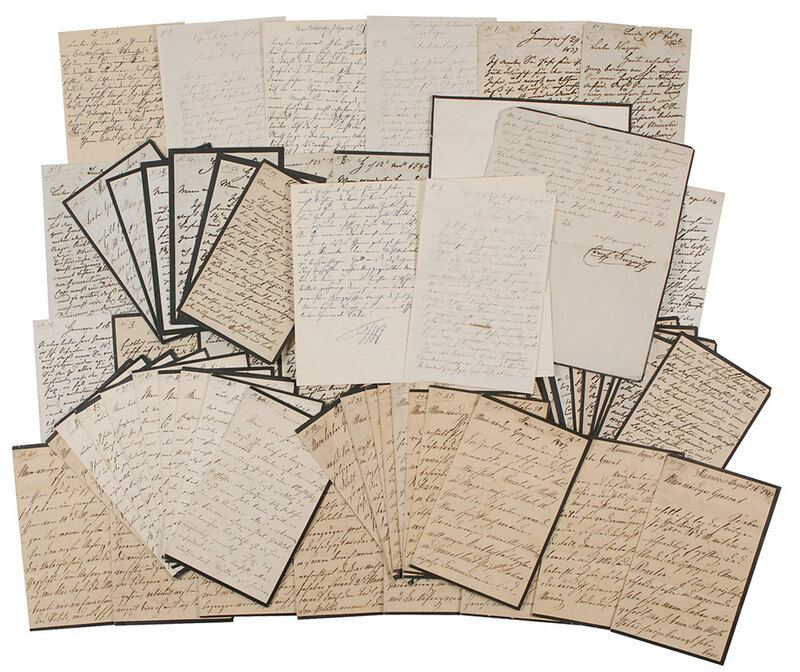 In a letter of April 7, 1853, the king writes, in part (translated): “Let the Emperor know nothing of my admiration [for the Empress] for jealousy does not come to mind diminish his friendship with Prussia.” One from July 3, 1853, in prt (translated): “It strengthens me in my hopes of peace, which for the difference of opinion in Paris and London (on the question of how far you want to go in the Pacific Council Post and in the maritime patience) begin to fade a little.” On February 14, 1854, he writes, in part (translated): “I owe you a paper of great importance (the letter of the Emperor). Now go look at the big day forecasts which dictated that are dear to my heart. Recent communications from Vienna are peaceful in nature, as long as the Emperor of France to pronounce in meaning, rather, if he does not allow the interests of France to be sacrificed to a foreign will…This is undoubtedly the question of the moment.” In overall fine condition. 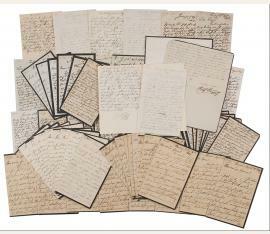 Three are accompanied by their original mailing envelopes and include translations written by the general..